Though this has been “on the list” to try for some time, we needed a special order to give us the push and it happened. The font style and size of the T needed to be chosen. Our client picked Merriweather, we recommended the size and away we go! The template for the T took some time and with a few adjustments the carving begins. We did have a backup large board – just in case. You really can’t tell the wood is walnut until the finish goes on. Isn’t this pretty? 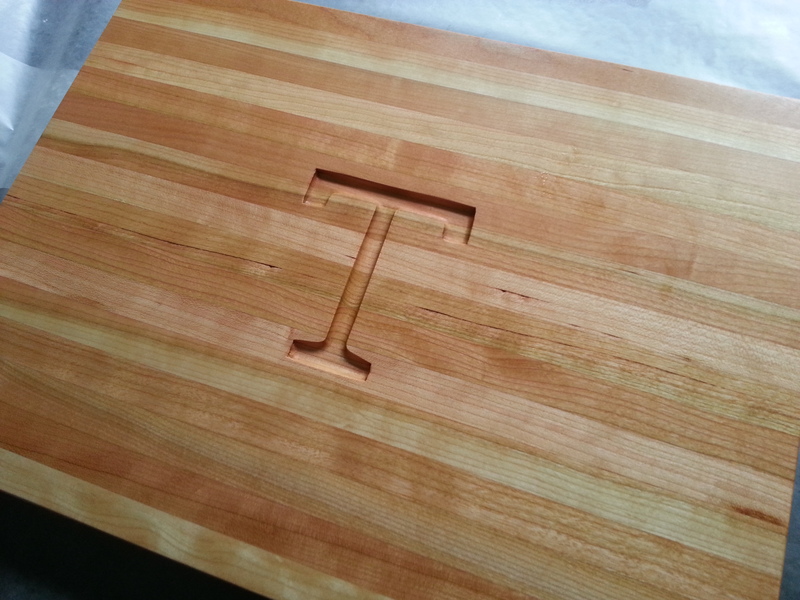 We made one in rustic cherry also, special order #2 – good thing for us their last name also begins with a T! Thank you for stopping by our blog, we appreciate your time. Please share and don’t forget to leave us your thoughts in the comment section. 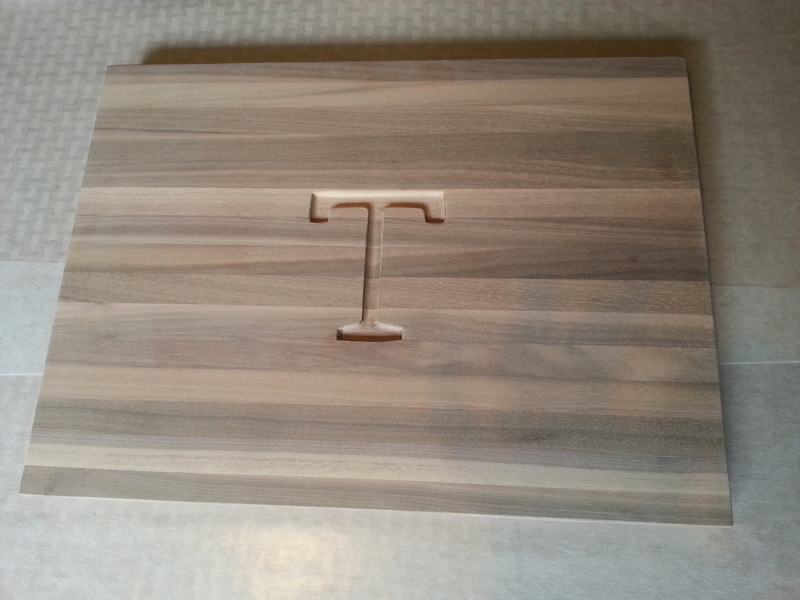 This entry was posted in Creative Woodworking, cutting board, walnut wood and tagged carving, cherry wood, cutting board, special order, walnut wood. Bookmark the permalink.